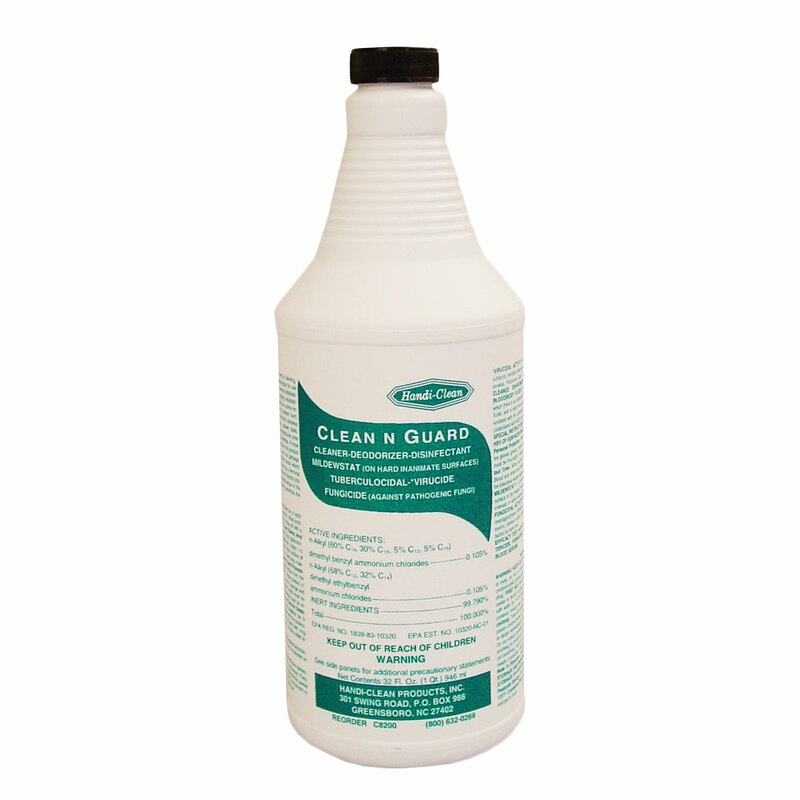 Clean'N'Guard is a 3-in-1 product that cleans, disinfects, and deodorizes. Efficacy Test Have Demonstrated That This Product Is An Effective Bactericide, Fungicide, And Virucide In The Presence Of Organic Soil (5% Blood Serum). TUBERCULOCIDAL ACTIVITY - This product exhibits disinfectant efficacy against Mycobacterium tuberculosis (BCG) in 10 minutes at 20 degrees Centigrade when used as directed on previously cleaned hard non-porous inanimate surfaces. 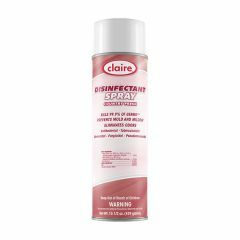 BACTERICIDAL ACTIVITY - When used as directed, this products exhibits effective disinfectant activity against the organisms: Staphylococcus aureus, Salmonella choleraesuis, Pseudomonas aeruginosa, Eschericia coili 0157:H7, Methicillin resistant Staphylococcus aureus (MRSA), Vancomycin intermediate resistant Staphylococcus aureus (VISA), Vancomycin resistant Enterococcus faecalis (VRE) and meets the requirements for hospital use. VIRUCIDAL ACTIVITY - This product, when used on environmental, inanimate, non-porous surfaces, exhibits effective virucidal activity against HIV-1 (associated with AIDS), Canine Parvovirus, Poliovirus Type 1, Hepatitis B Virus (HBV) and Hepatitis C Virus (HCV). One-step cleaning and disinfection of toilet bowls and urinals: Remove water from bowl by forcing water over trap with a swab mop applicator. Press swab mop against side of the bowl to remove excess water from applicator. Apply 1 to 2 oz of this product evenly, allowing sufficient time for product to cover entire surface of bowl for maximum cleaning. Swab bowl completely using a scrub brush or toilet mop, making sure to get under the rim. Let stand 10 minutes and flush. Food products and packaging materials must be removed or carefully protected prior to using this product. To disinfect food processing premises: floors, walls and storage areas, hold container six to eight inches from the surface to be treated and spray area until it is covered with the solution. Allow product to penetrate and remain wet for 10 minutes. Wipe off with a clean cloth, mop or sponge and thoroughly rinse all surfaces in the area with potable water. Heavily soiled areas must be pre-cleaned before using this product. To disinfect food service establishment food contact surfaces: countertops, appliances, tables, hold container six to eight inches from the surface to be treated and spray area until it is covered with the solution. Allow product to penetrate and remain wet for 10 minutes. Wipe off with a clean cloth, mop or sponge and thoroughly rinse all surfaces in the area with potable water. Heavily soiled areas must be pre-cleaned before using this product. DISINFECTION, DEODORIZING AND CLEANING Remove gross filth or heavy soil prior to application of the product. Hold container six to eight inches from surface to be treated. Spray area until it is covered with the solution. Allow product to penetrate and remain wet for 10 minutes. No scrubbing is necessary. Wipe off with a clean cloth, mop or sponge.